The Diamondback Binocular from Vortex is very popular among those who are enthusiastic about guns. Vortex is one exception that delivers on its promises by offering excellent returns on your investment in terms of performance regardless of the price range you go for, thereby making high-quality spotting optics accessible to almost everyone. 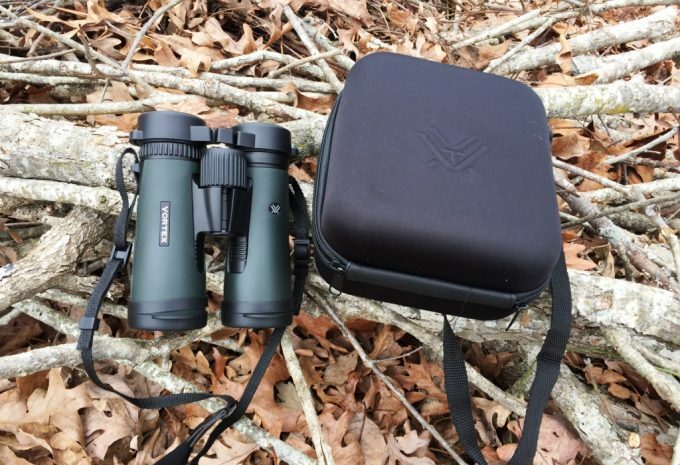 Here, in our Vortex Diamondback 10×42 Binoculars review, we will dig into this product in depth. 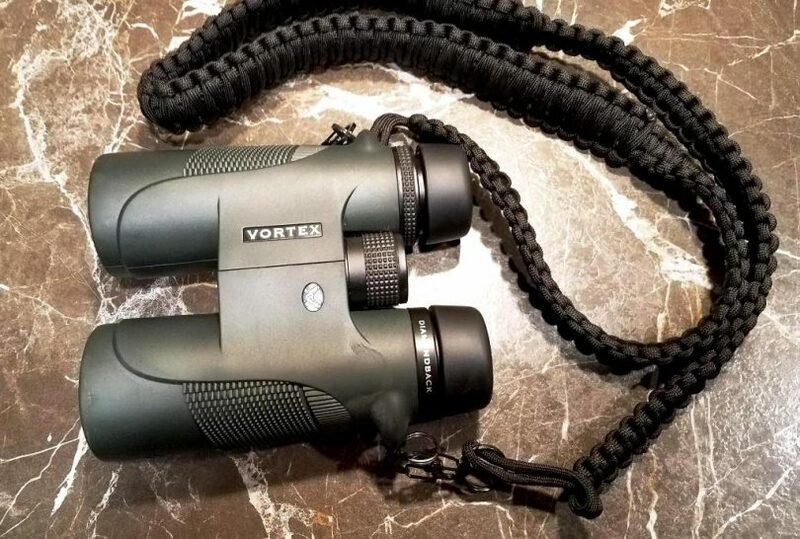 Vortex makes a variety of binoculars for the hunting and shooting market. 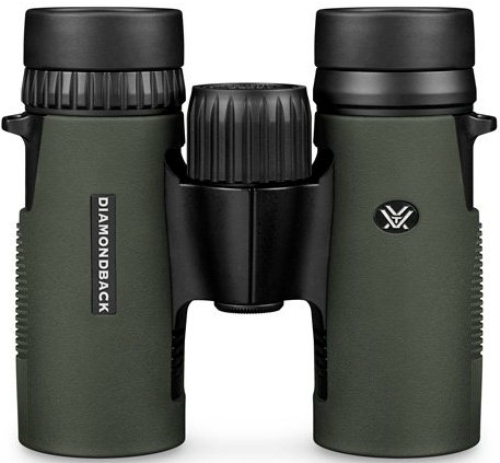 If you’re novice to the world of binoculars, or you’re considering an upgrade you should consider checking Vortex Diamondback binocular. In this article, we tried to gather up all the relevant information about one of the most popular Vortex Diamondback binoculars for the money, which has an incredible performance. Fully multi-coated lenses transmit more light and clearer, brighter images. 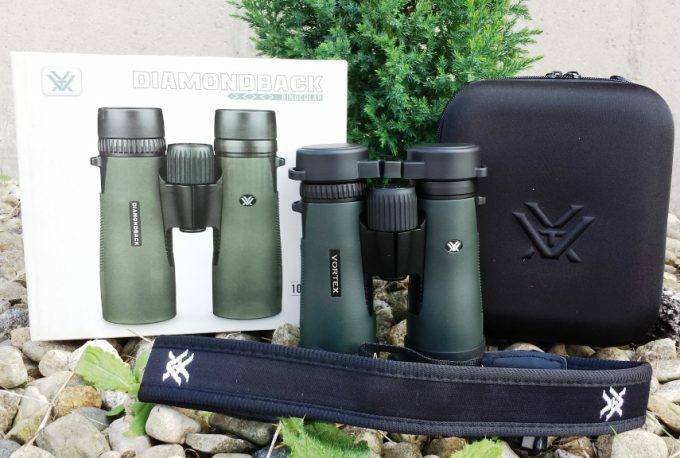 The Vortex New Diamondback 10×42 is a roof prism design, superior quality and high performance tactical and hunting binocular. It is also the newer design and features a shorter hinge and long clean lines, allowing more space for more quickly and firmly hold. Let’s have a look at some of the most important features. This binocular weighs 1.3 pounds and comes with a 5.8 x 0.1 x 5.1 inches dimension. An argon gas filled body, rubber armored and the O-rings ensure that the Vortex Diamondback binocular is capable of withstanding harsh conditions when in contact with dirt, snow, water, and all kinds of impurities, no matter where you choose to explore. The optics rubber coating prevents severe drops and shocks on the product, which is why we believe it’s a good idea to purchase this optic. Although, and we can all agree to that, we don’t want to drop our binocular, even if it’s sturdy as this one, having a rubber coating surely comes handy if this happens. The binoculars have a huge field of view, the largest in its class and the clarity of the binocular is outstanding. The fully multicoated lenses do help to prevent the light that enters the system from scattering. The 42 mm objectives and 10x zoom perform flawlessly. 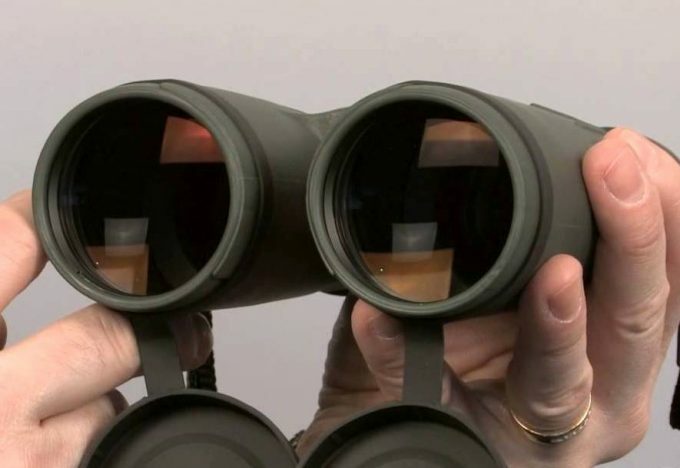 This means that you’ll be able to see clear images which make 10×42 sized binoculars really popular among those that are seriously into wildlife watching, whether as an observer or a predator. We also have to mention its high sensitive focusing which is another powerful side of this binocular. As we mentioned above, the Diamondback 10×42 binocular is designed to be rugged, shockproof, and durable, so you can use them in a rough field environment without any concern. The outside of the binoculars has a rubber coating and the hinge construction looks long enough to stand most bumps and drops without twisting and robust enough to stand up to regular use. It’s also designed to feel comfortable against your eyes thanks to the adjustable eyepieces. So, whether you plan on using it for hunting or bird watching, you’ll be able to get the fit you need so that it feels comfortable against your eyes. When it comes to the absolute value offered for the right cost, you always analyze your expectations and budget, right? That’s why we believe that this offering from Vortex steps up to the challenge and produces a good product for the price as this is one of the most advanced binoculars available, plus they do not break the bank. The famous Vortex warranty policy applies to all their binoculars. The addition of this excellent warranty further increases the value of this purchase. If you are looking to buy a binocular, it’s worth noticing the manufacturer’s warranty. What we love about this Vortex Diamondback 10×42 binocular is that it comes with a tripod adapter. The binocular can easily be mounted so you remove the possibility that your binocular shakes. We all know how unsteady image we can get when we hold it for a long time in our hands, right? The only downside is that you have to buy the Vortex unit-adaptor separately. Another great thing about this binocular is that it comes with a molded hard case which means your binocular will be protected when not in use. So, if you’re a type of person who leaves its binocular on the back seat of the car when gets back to civilization, you don’t have to worry about scratches and damages for sure. When buying a binocular, it’s really important that you have a great magnification, right? Especially important is that it functions well in low light and has a great field of view. The Diamondback binocular offers all these features. Its 10x magnification is perfect for long distance observations and targets through its 42 mm lenses. It means that it has a wide field of view which will enable you to see larger spaces. Plus, the optics are fully multi-coated which means they transmit light so you’re able to see objects in low-light situations. 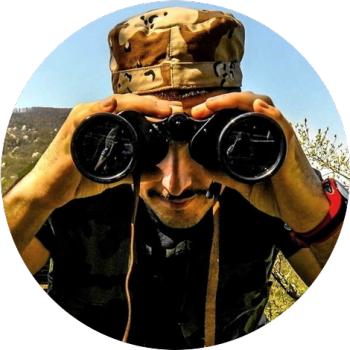 Although we believe that Vortex Diamondback 10×42 binocular is a pretty nice deal, we still want to compare it with similar products in this price range, so let’s have a look at some popular binoculars that have similar features. 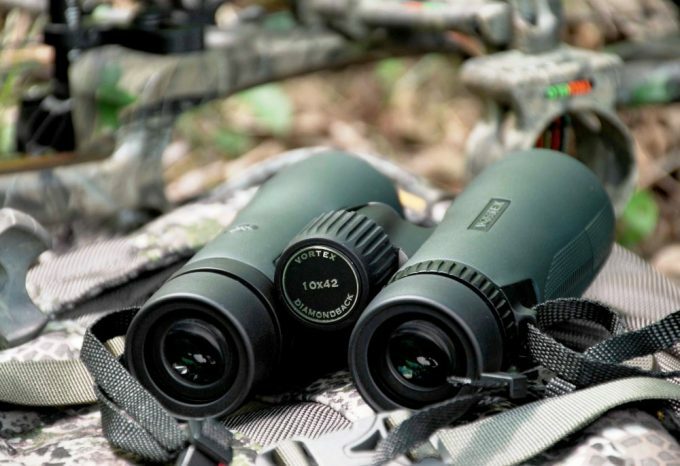 If you’re searching for a pair of versatile binoculars that can go toe-to-toe, the Vortex Diamondback 10×42 Roof Prism Binocular may be just the perfect thing. These may be the older design of the Diamondback, but that doesn’t mean you should pass them by. This Vortex binocular is designed with superior quality, greater clarity, and durability that is ideal for exciting and breathtaking adventure travels. The roof prism 42 mm lenses are suitable for the 10x magnification so you can see objects at a distance. The lens caps are designed for convenience and will provide adequate protection from cracks and scratches. You will appreciate the full range of vision you get with this binocular, believe us. The lightweight construction makes this optic easy to carry, which is always an advantage when you are hiking on the trail. At 1.5 pounds and 5.9 inches, it will fit in a field coat pocket and can easily hold steady in your hand, yet give you excellent visibility even at dawn and dusk (345 feet at 1,000 yards). It is also waterproof so you can even use them in the rain. With this “little guy”, you can sight prey in any weather. It’s fast-focused and ultra-smooth which allows you to see even in less than ideal conditions. The rubber outside casing offers a lasting, non-slip surface for use with both gloves and bare hands. The sturdy, all-weather roof prism binocular comes at a surprisingly affordable price. The only downside of this binocular is that the lens caps are not always that secure as expected, but you will appreciate the durable construction of this binocular that is designed to last a lifetime, along with the included unlimited warranty. This gives you additional peace of mind, so you know that you made a smart purchasing decision. If you’re looking for the best binocular for bird watching, Wingspan Optics Sky-View Ultra HD 8X42 Binoculars might be a good choice. Just imagine a wide field of view, waterproof, close focus, brighter and better bird watching experience in Ultra HD magnification. Sounds great, right? We love it too! This binocular will enable you to see every color and every detail of the object. 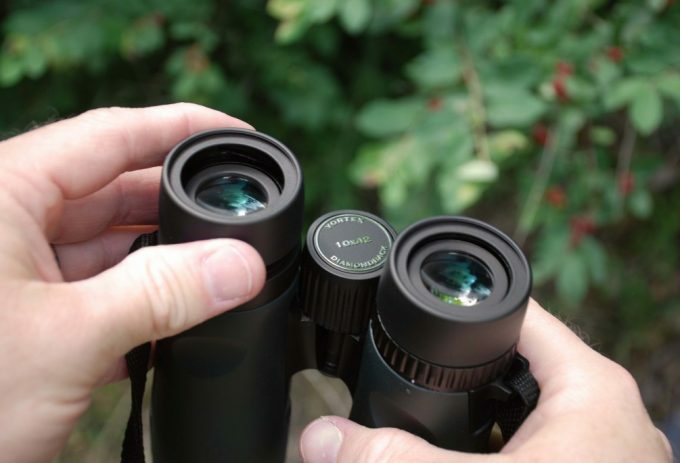 The weight of the binocular is only 1.6 pounds with a dimension of 2 x 5 x 6 inches, so if you plan on using it for all your bird watching, 8x binocular might be a good compromise and is the popular choice of many birders. The Ultra ED glasses enable you to view each color of the feather with the amazing clarity which takes the bird watching adventure to a whole new level. 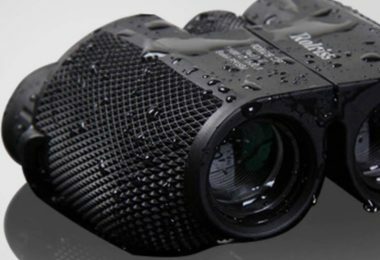 This birding binocular is guaranteed waterproof and fogproof making it a real blessing during the rainy day so that you won’t miss birds in their natural habitat. The soft objective lens caps can either be removed or left attached, depending on your preference and the SkyView is tripod mountable. Unlike other birdwatching binoculars, which leave you wishing for less frustration, your new pair of SkyView binoculars will make you want to have more additional time to experience the birds, forests, skies, and fields. Perfect for new bird watchers, nature lovers and kids. 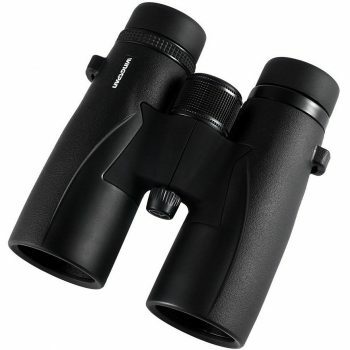 This binocular has excellent edge sharpness and virtually no color fringing viewing dark objects. Bushnell Legend L-Series 10x42mm Binoculars are category leaders in image clarity and performance. The lenses warrant you complete moisture protection due to the O-ring seals. The Legend L-Series offers an improved user experience with increased eyecup resistance, soft rubber housing, custom objective covers, thumbhole cutouts and a locking diopter. The Legend L-Series binoculars are lightweight and corrosion-resistant, so you can carry yours through all types of weather and terrains and never worry about a decline in performance. The ED Prime Extra-Low Dispersion fluorite glass lets the visible colors of the spectrum to focus at nearly the same point. This helps in providing improved color resolution, and contrast that practically eliminates chromatic aberration and color fringing. It weighs about 2.2 pounds and the rainguard coating allows high performance in wet weather that would render other scopes unusable. The ultra-wideband fully multicoated optics produces bright and clear images and gives you true color renditions across the visible spectrum. It’s also worth mentioning that these binoculars are fully protected against shock damage. The Bushnell performs exceptionally well in low-light conditions. The Legend L-Series binocular is one of the best in every class with an industry leading guarantee. It also features an eyepiece rainguard, a neck strap, objective lens caps, microfiber lens cloth, carrying case, and Bushnell’s limited lifetime warranty. The Vortex New Diamondback 10×42 Roof Prism Binoculars offer several features that are designed to make your next excursion more enjoyable. The binocular is also able to eliminate internal fogging with the use Argon gas while also serving to offer protective properties over an extreme range of temperatures. 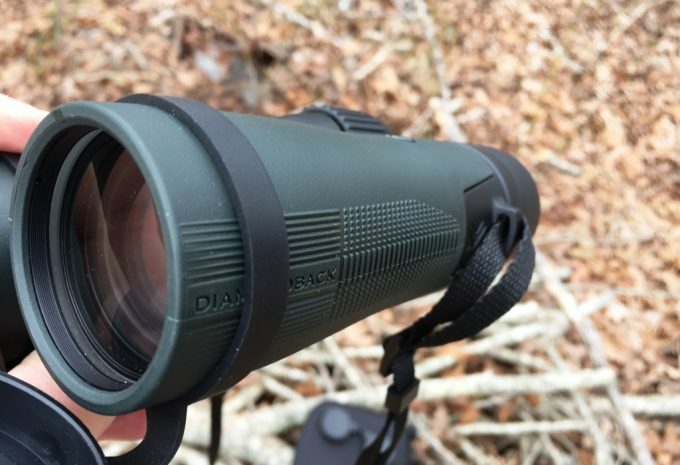 By going with a high-quality set of binoculars like the New Diamondback you can gain experience and learn what features you need most in a binocular. There is a broad range of binoculars available in the current optics market, but the Vortex binoculars are just perfect in terms of dependability, optical coatings, image quality, and eye relief. When it comes to clarity, this particular binocular provides crystal-clear vision, and you’ll enjoy fully multi-coated lenses that are capable of transmitting nearly all available light. 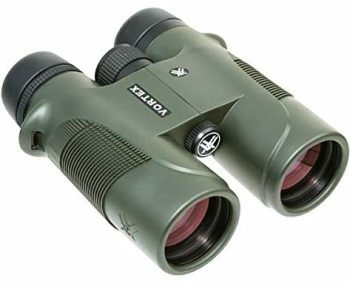 It’s ideal for those who are on a budget, or for hunters and campers who need a binocular they can knock around. This article offers you, not only the most affordable, but also with the most durable and portable binoculars. 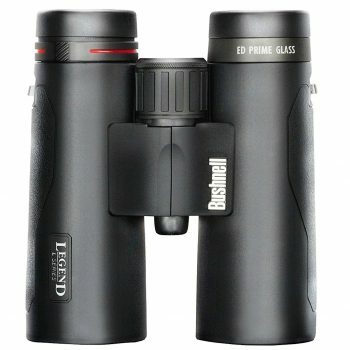 It is very vital to find the perfect binocular if you want to enjoy an experience of a lifetime. It surely can change how you experience the natural world. The Vortex Diamondback comes with dielectric multi-coated lenses that serve up the stunning views. Fogproof and waterproof construction, and softly tapered eyecups making it one of the most feature-rich options available. Also, it features adjustable eyecups that are twistable up or down for improved comfort in viewing either with or without eyeglasses. 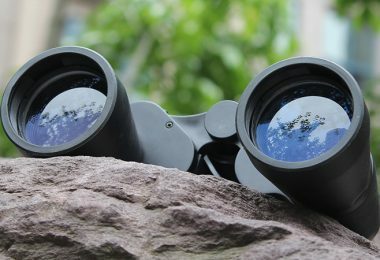 This pair of Vortex binoculars is superior, and of high-quality as far as high performance is required in the outdoor viewing. It is a must-have for people who want a real device at an affordable rate. Now that you know everything there is to know, there’s nothing more titillating than gearing up for your big day. We would appreciate if you can comment in the below section about your experience with any of these optics.